We are a proud family-owned company, and we are passionate about playing our part in supporting the community at large. Not only is our meat bought in Cumbria, supporting local farmers, abattoirs and auctions but supporting local food producers is a key driver for our business. We have always been a keen advocate of many regional and family-owned businesses: from Bruce and Lukes’ Coffee in Carlisle to English Lakes Ice Cream in Kendal, our promotion of these businesses to our customers is important. 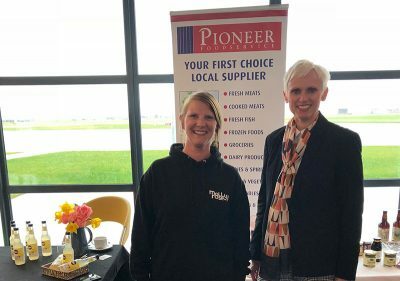 Our team is often out and about supporting events in the region, such as the Local Food Show, Cumberland Show, Gilsland Agricultural Show, Gelt Gladiator, Carlisle College Awards, Carlisle Living Awards, Cumbria Life Food & Drink Awards and various equestrian events. We are the main sponsor and financial backer of Cumbria’s only league football team. We are proud to be a corporate member of the foundation, which strives to strengthen communities by connecting people who care with inspirational, life-changing projects. Every year the foundation awards grants to more than 500 community projects. 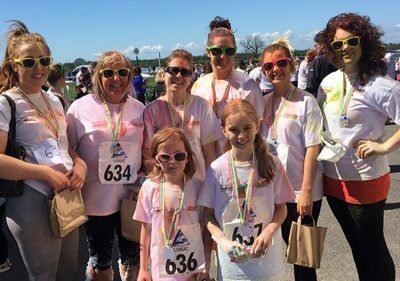 This scheme, run by Cumbria County Council, offers local businesses the opportunity to support the council’s work to recruit more foster carers, thereby providing much needed help to the county’s most vulnerable children and young people. Fairtrade campaigns for better prices, decent working conditions, local sustainability, and fair terms of trade for farmers and workers in the developing world. By requiring companies to pay sustainable prices, Fairtrade addresses the injustices of conventional trade, which traditionally discriminates against the poorest, weakest producers. local events and charities recently.